As Christmas approaches we will be finding out how German children celebrate Christmas. 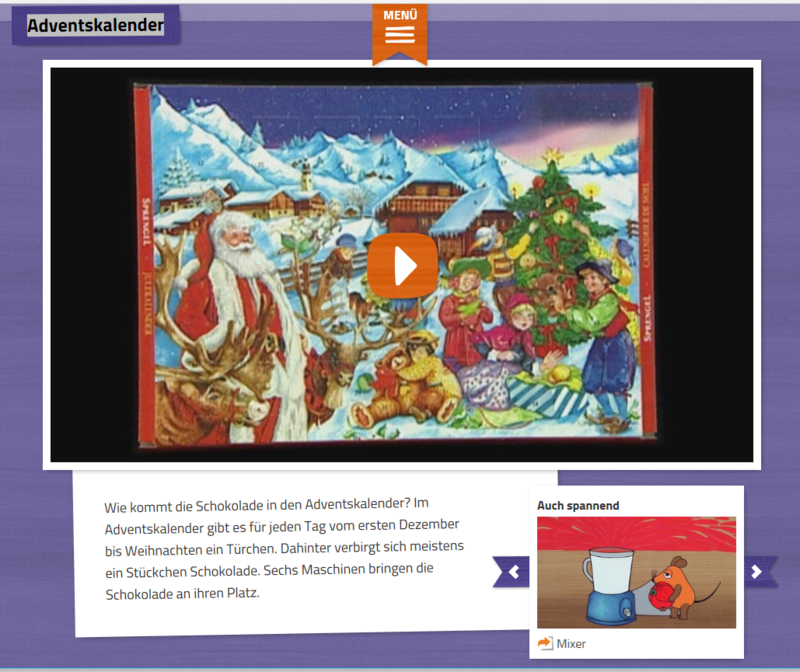 This week we will also be watching a German film showing how advent calendars are made and learning a new song to the tune of Merry Christmas Everyone which will help us learn some new words for writing a Christmas list. 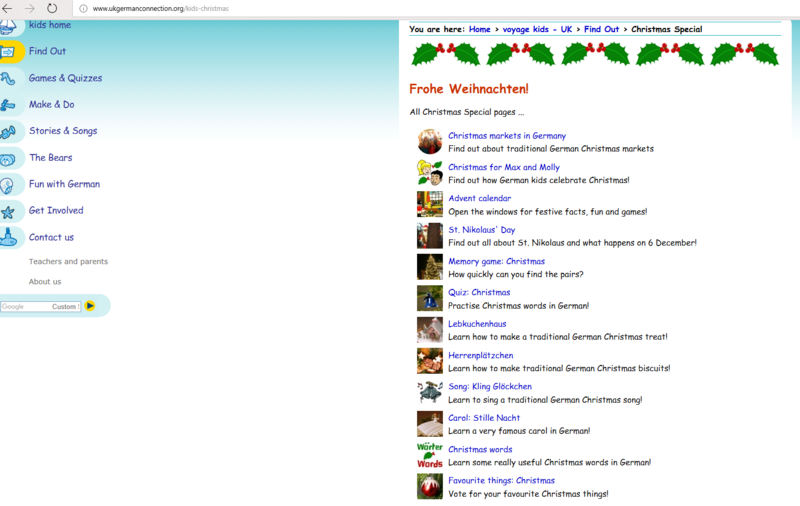 There are is also lots of information about Christmas in Germany on the UK German Connection’s Voyage Kids website. Why not try some of the games on there? ← How to say “you” in German.